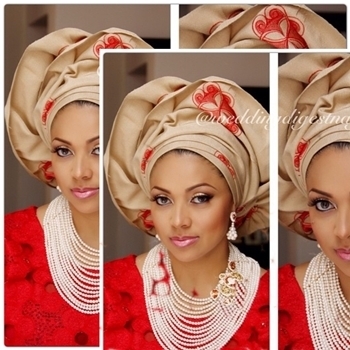 We offer the traditional hand loomed Aso Oke from Nigeria. It comes in a 2/3 piece set. One as the Headwrap called (Gele) and the other for your shoulder as a shawl or for your waist called (Ipele) or for men's cap (Fila). It's intricate designs comes with personal touch by the local weavers and it will bring your spirit closer to HOME. Look like an African Queen or Prince. Do you want to support the African brothers and sisters who weave these intricate aso oke designs? Shop Tenuci because your purchase supports their work which allows them to support their families and communities and this Royal Aso Oke tradition. Enjoy this traditional African cloth that has been passed on from generation to generation. It's our culture; it's our tradition; it's our pride. Wear it in Style!